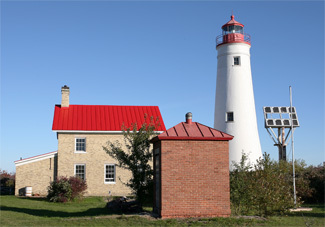 * The second oldest lighthouse still standing on Lake Huron. * A lifesaving station whose dedicated crews assisted in the rescue of over 1,000 lives. * A coast littered with the remains of ill-fated shipwrecks. 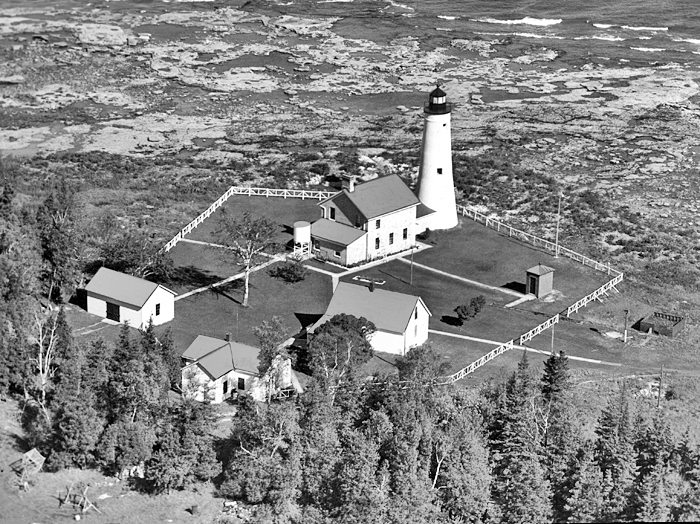 * A fishing colony that was home to Alpena’s earliest settlers. * Legends of ghosts and mysterious currents that drew ships to their destruction. * Rocks carved with the names of those who served at the island. * Rare plant and animal life drawn to its unique "alvar" ecosystem. These are a few of the compelling stories told in Lanterns and Lifeboats, researched and written by Thunder Bay Island Lighthouse Preservation Society Historian Steve Tongue. Beginning with the voyage of the Griffin in 1679, Thunder Bay Island has provided shelter along Huron’s "rock-bound shore," and its story mirrors our rich Great Lakes maritime heritage. Lanterns and Lifeboats connects the history "above the water line" with the Thunder Bay National Maritime Sanctuary’s latest effort to preserve and interpret the bay’s fascinating underwater archeology. Featuring many rare historic photographs and original artworks, all proceeds from the sale of this book are pledged towards the restoration the preservation of the islands structures. Copies of Lanterns and Lifeboats may be ordered directly from the Society at a cost of $14.95, exclusive of shipping charges. Simply click the button to open an order form which can easily be printed, and sent to the Society along with your payment. Remember – all profits from the sale of the book go directly towards the restoration of the remaining historic structures on the island. Please put a check mark to the left of the number of books you wish to purchase. Prices are effective for the United States only.